Thousands will flood downtown Gresham for an annual event dedicated to our stuffed friends. 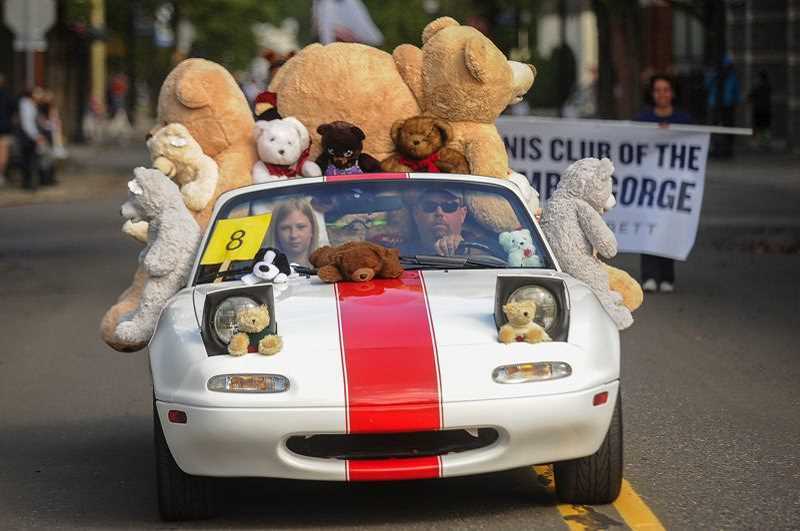 The 36th annual Gresham Teddy Bear Parade, organized by Soroptimist International of Gresham, will be filled with lots of fun for the whole family. The parade runs from 10 a.m. until noon Saturday, Sept. 29, with a route covering a big loop through downtown streets closed to traffic. The parade is a popular tradition and a chance for the whole city to come out in celebration while supporting good causes. The school districts, law enforcement and fire departments, elected officials, nonprofit organizations, businesses and many others make up the bulk of the parade participants, which often has more than 100 entries and almost 2,000 people involved. The parade is supported by many volunteers and community sponsors. Weston Kia and Mt. Hood Community College have been important partners for the last five years, as have 36 other local organizations and businesses. The sponsorship dollars and entry fees support scholarships, mentorship programs and career training for young women and girls. The Soroptimists are a global volunteer network of women in 130 countries and territories that work to improve the lives of women and girls. The local group spearheads many events throughout the year, such as the Teddy Bear Parade, to support the community.